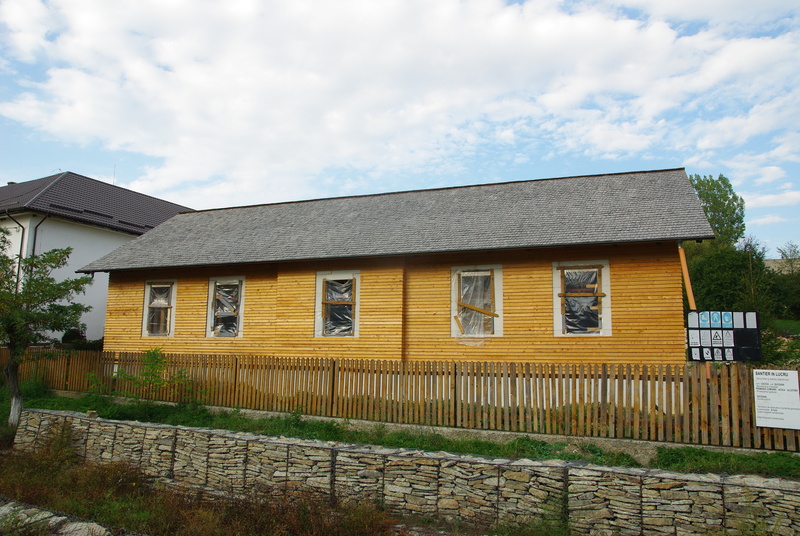 The ecoBiblioteca project implement, for the first time in Romania (and in Europe) the Living Building Challenge ecological certification, which is the most accurate system for ecological building certification existing in the world. To be eligible for certification, Living Building Challenge require that the building should be a high energy performance building with energy efficient equipments. more about JETRUN you can find here. more about ecoBiblioteca you can find here. 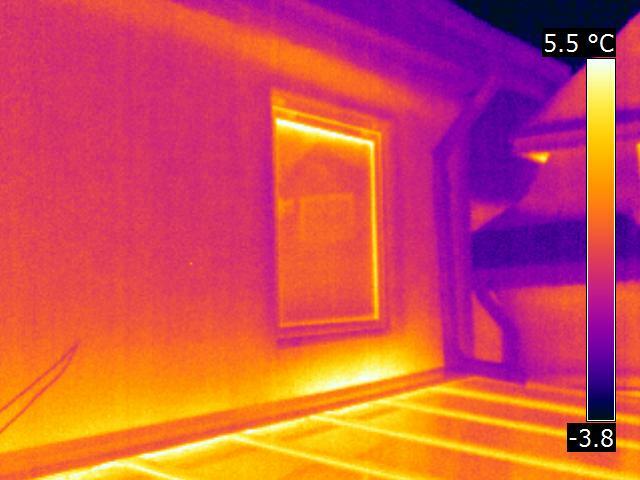 Thermal bridges of RoGBC Heaquarters, showed with infrared camera made by EGEEA Design. 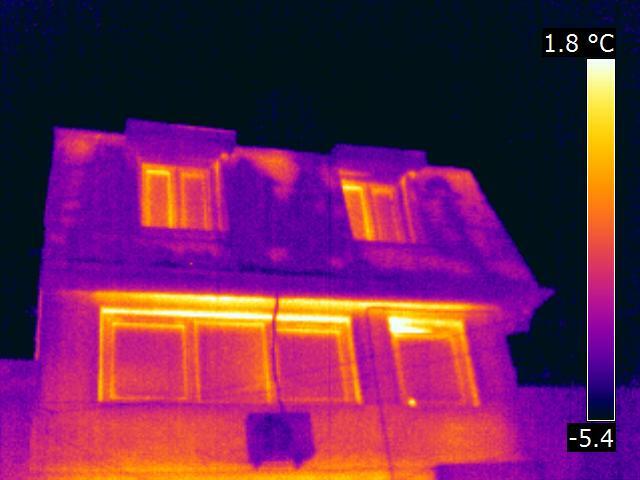 The new member of RoGBC, EGEEA Design, has made on 13 December 2012 an survey with a infrared camera of the RoGBC headquarters. As part of the RoGBC pilot project : Greening our Workspace Phase II. The survey has revealed the main areas where the heat transfer is increased, know as Thermal Bridges. Areas which, besides the energy which is consumed (lost) to the exterior environment, they can develop mold and/or condensation on the interior finishing and also, more evident, they generate a thermal discomfort of the residents. Below you can find some images from this survey. 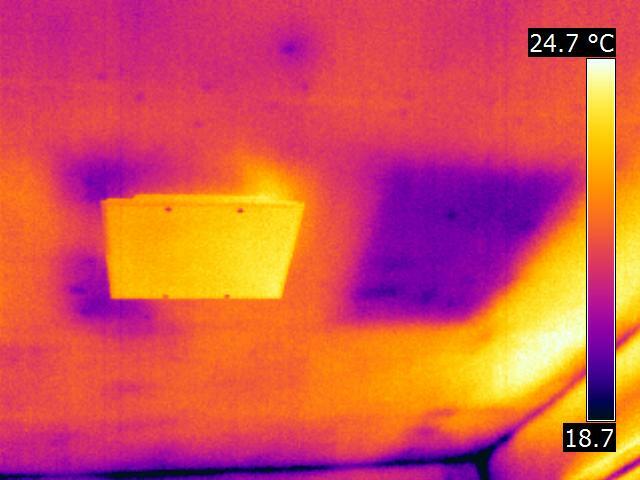 the Office ceiling: with a lamp on the left and a thermal bridges on the right. the Office windows (view from out side): with a thermal bridges on the lower part (parapet) where is also an radiator on the interior. 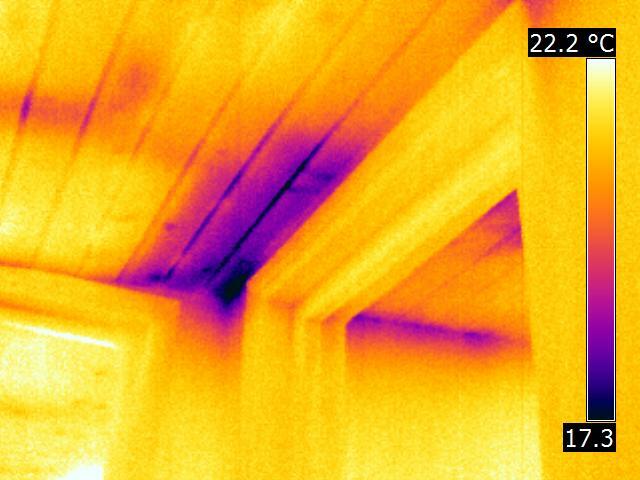 Exeterior view: the darker parts of the attic is covered with snow, the lighter parts o the attic are thermal bridges which are dry(not covered whit snow) due to the interior-exterior heat transfer. The partners of “Building Greener Schools” Project gathered yesterday at the RoGBC office in Bucharest, 28th Nov 2012 for the first integrated design session. They discussed the first steps that are going to be done for the Green Renovation of the Primary School from Calnic, Alba. The next meeting will take place on 5th Dec 2012. We will keep you updated with future news! The Cluj-Napoca City Council delivered a positive example to the nation being the first municipality in Romania to adopt specific measures for encouraging green building development. The City Council voted on May 24 to provide a 50% reduction in property taxes for buildings earning a green certification and achieving the top score on the energy efficiency rating. for individuals the City Council granted a 50% reduction of annual property taxes on residential buildings that have an A level in the Energy Performance Certificate and an official green building certification issued by any of the three systems mentioned above. declaration of conformity issued by the Romania Green Building Council. The project was initiated by the local councilors and the executive team from Cluj-Napoca City Hall: Irsay Miklos, Laszlo Attila, Csoma Botond, Somogyi Gyula and Molnos Lajos, Virgil Porutiu, Victor Radoi. We would like to congratulate and thank them for the initiative! “The Romania Green Building Council will provide assurance to Cluj-Napoca that only qualified green buildings are provided this benefit and assist project developers interested in obtaining this certification.” explains Dorin Beu Ph.D. , Director of RoGBC’s Transilvania chapter. “This is an excellent and timely move as the economic benefits to the project and community include higher building valuations, lower operating costs, creation of green jobs, reduced impact on traffic and other infrastructure, and, importantly, attracting high quality local and foreign investment to Cluj-Napoca. Many of the top tier companies investing in the region are seeking the benefits of green buildings ” added Steven Borncamp, Founding President and CEO of RoGBC. The RoGBC has campaigned since its inception for these type of “green economy” stimulus measures arguing that it is a desired way to both encourage economic growth during challenging times while using the long term financial benefits to repay any early investments. In addition, this organization has argued that this will ensure local businesses and professions remain competitive as building and related energy standards increase across Europe and the world. “Many cities in Europe, driven by the new stringent EU regulations on energy efficiency and green energy production, have adopted specific local incentives for buildings. Most of them are targeting building renovations or directed to the public buildings. The Cluj-Napoca initiative improves on these by also including private developers and new construction and focusing beyond energy efficiency and green energy to reward other essential elements of such as ecological materials, site selection and management, and transport issues. ” explains Anca Bieru Robinson- RoGBC’s Director of International Relations and Policy and Chairperson of Europe Green Building Council Network Policy Task Force who has been guiding policy analysis and formation at the European and National and Municipal levels in Romania. Encouraged by this action in Cluj-Napoca, the RoGBC intends to continue its efforts to encourage other municipalities to adopt similar measures across the country. On April 5th, the Romania Green Building Council organized the third edition of the event that focused on the eco-labeling topic. The event took place at the headquarters of Swan Office & Technology Park and engaged the construction and hospitality industry and its service and product suppliers in a discussion about the opportunity and importance of a more environmentally responsible approach to designing, renovating, and operating their properties. This year we have extended the discussion beyond the hotel industry, due to the increased interest not only from the building materials manufacturers in Romania, but also an increased interest at the European level regarding the extension and development of the criteria’s for obtaining the eco-label in other sectors of the construction industry. The main guest was Mrs. Daniela Toma – Councellor within the Directorate of Pollution Control and Impact Assessment, part of the Ministry of Environment and Forests. Mrs. Toma presented the advantages of obtaining the eco-label and the steps to be followed. The case study presented in this section was “Complex Piatra Soimului” from Sinaia, the first hotel from the Prahova Valley that obtained the eco-label. Furthermore, it has been brought into discussion the types of products in the construction industry that can obtain the ecolabel certification and what is the connection between the ecolabel certification and buildings. 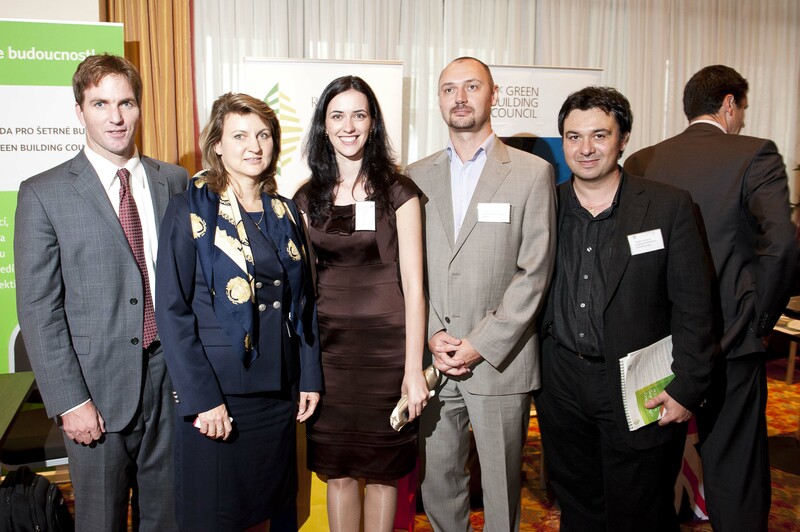 The Romanian Green Buildings Council will collaborate with the Ministry of Environment and Forests for the establishment of a consultative working group which purpose will be to analyze and provide comments on the draft criteria that exist at the moment for the eco-labeling of buildings. The first trans‐European communication platform about Sustainable Construction – Construction 21 was also part of the agenda, as the event was addressed to those concerned in taking advantage from energy-efficient design principles with low impact on the environment. Ms. Eng. Mihaela Nicolau presented the project’s scope and ways of how getting involved. We are confident that as a result of this event, a larger number of companies that promote energy efficient buildings will get involved in the Construction 21 project. eng. Mihaela Nicolau, presenting the Construction21 project. 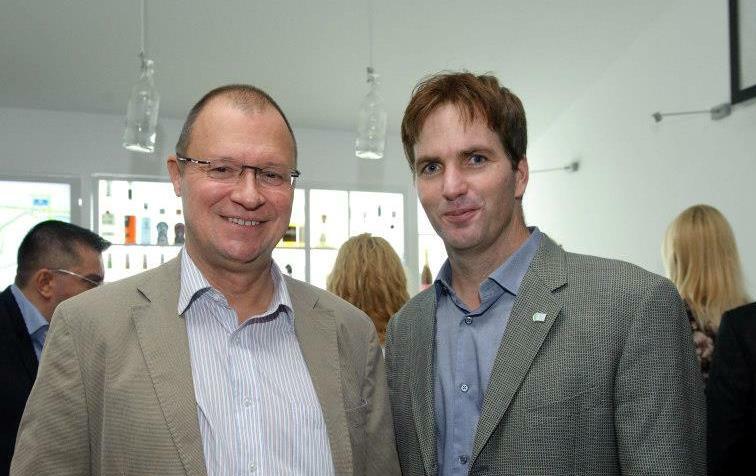 On the 21st of September, in Brussels, 15 Green Building Councils from different European countries celebrated World Green Building Weektogether with officials from the European Parliament and the European Commission [see a full report on the meeting’s outcome]. Among the key speakers, Romanian MEP Adriana Ticau addressed the audience highlighting the importance that recently adopted legislation such as EPBD 2 and the new measures included in the Roadmap for a Resource Efficient Europe have on strengthening the construction standards. Ms Ticau also talked about funding sources to ensure the high standards included in the legislation are met. As one of the well known supporters for higher level funding for energy efficiency in buildings she reminded the attendees about the opportunity for national governments to use up to 4% from the European Regional Development Fund (ERDF) for energy efficient housing projects. Without spending that in 2007-2013 budgeting period it will be very difficult to negotiate higher shares from 2013 onwards. The 4% specific allocation for energy efficiency and RES in buildings should be added to the initial 2% allocation for housing that was available even before ; those combined could make possible an allocation for rehabilitation of low-income housing of 6% from the 9431 Mio EUR that were allocated to Romania from ERDF for the 2007-2013 period. In Romania ERDF is one of the Structural Funds that is funding the priorities from the Regional Operational Program (ROP) and part of the Economic Competitiveness Sectoral Operational Program. The Axis 1 from ROP vaguely makes a reference to the possibility for local public authorities to obtain funding for social housing projects, but only if these are previously included in the Integrated Urban Development Plans. Social housing is not specified clearly in the indicative list of potential activities but it is included as a performance indicator for the overall assesment of the ROP. So, with a bit of imagination, public authorities could fund this type of projects. Unfortunately, from analyzing the list of projects that were financed so far under Axis 1 from ROP, not even one is related to energy efficiency in residential buildings or to delivering social housing. In the Economic Competitiveness Program the situation is even more blurry because, even if there is a funding line for Improving the energy efficiency by the end-users (Measure 4.3), project that would fund energy efficiency in the housing sector are not specificaly included. Ministry of Regional Development and Ministry of Economy could re-negotiate the priorities and budget allocation in both programs (ROP and Economic Competitiveness) with the European Commission and include a very clear allocation for projects aiming at improving energy efficiency in social housing. Also – because there is no European wide definition of what “social housing” mean, the European Commission left it upon each Member State to define it according to their national set criteria. There are signs that some discussion around the topic already started between the Ministry of Development and European Commission, but we need to move quick to be able to also implement some projects.